Our Years in the Business will Definitely Help you! 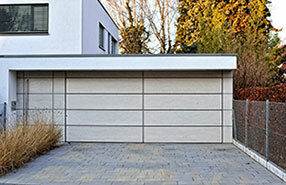 Has your automated garage door not been performing at its best and you just can’t seem to work out why? Our company has plenty of experience in the garage door repair industry and we’ve seen our fair share of issues! Carry on reading for a list of FAQs to help you find the answer! Do garage doors break down unexpectedly? Machines can certainly surprise us, but the main rule is that they don't break down out of the blue. In fact, springs become very loud and show signs of tiredness before they wear down and a garage door cable snapped after becoming loose and almost unable to pull the door up. 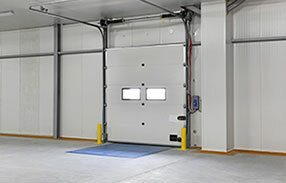 In short, garage doors warn you with specified signs, but you need to be ready to observe them and take your measures beforehand, but garage door repair service is usually unavoidable. Do I need to replace all parts when I replace the garage door? No, you don't unless you choose a door with completely different specifications. Still, you will only need to change the opener and most probably the garage door springs according to the weight of the new door. You wouldn't want the springs to break because they won't be able to lift the new heavy door. Can I repair or install glass garage doors on my own? You need to have knowledge of the peculiarities of your garage door system and definitely the right equipment. Installing a brand new glass garage door is very difficult because garage door installation is hard in itself, let alone having to accurately place glass doors, which are extremely heavy. As far as garage door repair is concerned, it would depend from the damage, but you could follow the instructions of your manual. Why doesn't the garage door close properly? It could be a number of reasons, but you should check the opener first. If the door doesn't close evenly, you should examine the extension springs. 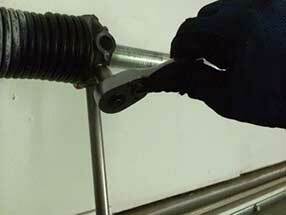 Garage Door Repair Atlanta recommends also inspecting the cables because loose cables cannot move the door properly. Why is bottom seal important? The sealing of the garage door with good weather strips is very important for the proper insulation of the property. The bottom seal has a special importance since it is found at the bottom part of the door and this means that apart from the air drafts, the absence of bottom sealing would also bring in dirt while perpetrators would use the gap to open the garage door. Thus, its importance is also related to your security. First, remember not to increase the operator opener force if this is the case. Next, there could be a problem with the door balance or the spring may have worn out and may need to be replaced. Close the door and disconnect it using the emergency release handle. If the door stays in the same position at any point, then it is balanced properly and supported well by springs. Why is aluminum recommended for frames but not for doors? Aluminum is a great material for either application. In fact, it's extremely resistant and never erodes and so it's ideal for coastal regions. Though, it's also lightweight. Consequently, it might be great for frames but it won't be a good idea for garage doors in windy areas. Plus they dent easier. Garage Door Repair Atlanta experts recommend doors made of wood as these doors can last a long time. Wood is timeless and classic. Dents and scratches make other door materials look unsightly but on wood, they give character and make them more pleasing to the eyes. Our garage door company in Atlanta insists that proper door insulation helps the environment and will be more inexpensive for customers in the long run, too. Energy efficient garage doors make the indoor environment pleasant and you won't have to make efforts to keep it warm or cool. They usually move softly, are stronger, and resilient. Polyurethane foam is preferred instead of polystyrene.